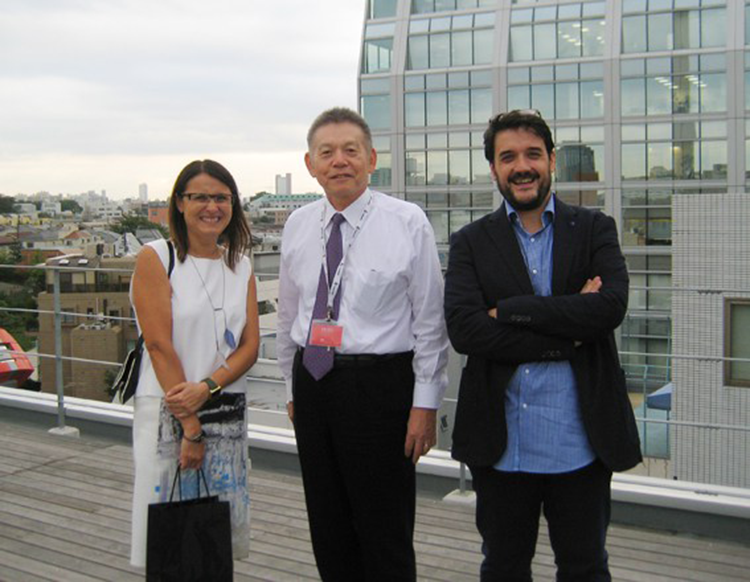 On the 9th of October we were welcomed at the headquarters of Bravis International by Mr. Fumi Sasada. During the visit he explained how the different teams in the company work. Bravis philosophy is precisely defined by its president: “Brands and design play an essential role in building bridges between companies and ordinary consumers. Bravis International’s history is a history of creating brands that successfully bring companies and consumers closer together. We want to help companies touch consumers’ hearts and build positive relationships with them”. Besides being president of Bravis International Mr. Sasada has been chairman of JPDA (Japan Package Design Association) over the last 8 years. We met again during the Pentawards ceremony, where Bravis International received a silver award in beverage category (Tea and Coffee Ready to Drink).